For those who prefer to play classic slots online for free, there are those that are more reminiscent of the one-arm bandit days with bells, bars, fruits, and triple sevens. 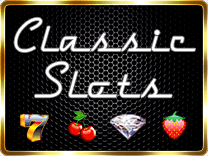 Today there are new classic demo slots games with additional features and higher upgrades in gaming entertainment and experience. Every month, mammoth-sized software developers like Betsoft, Net Entertainment, and Microgaming are putting out new slots and that includes newly created classic slots. Our focus here will be on the classic casino demo slots 2016 and of the past. These slots have 3-paylines like classic, Vegas demo slots. Slot games in demo mode with pub fruits and/or triple sevens, bells, bars and cherries. A number of slots for fun are downloadable at sites like Google Play, the iTunes store, and from casino directories and software developer’s websites. What are classic demo slot games online? A few classic demo slots caught our eye by Betsoft that are old-school classic slots. Classic demo slots by Betsoft that we’d recommend include: Progressive Diamond Jackpot slot, Lucky 7 slot, and Triple Crown slot. Progressive Diamond Jackpot slot offers the highest payouts as the booty grows as players deposit. Progressive Jackpot slot by Betsoft gives 2 different jackpots depending on the number of coins deposited. Sevens, diamonds, cherries, and bars are the classic slot symbols (the exception being the diamond) that the machine presents. Lucky 7 slot, it doesn’t get any more basic than this includes triple sevens, cherries, and bars plus an extra symbol of a Lucky 7 star. Finally, Triple Crown slot is a favorite classic slot is a genie theme and can be played for free but includes a few extra symbols – a Triple Crown logo, a mosque, golden, genie lanterns – and the typical bars symbol. Bet between 1 and 3 coins, play with 3 coins for the biggest payout of 5,000 coins for 3 Triple Crown logo symbols. Net Entertainment is a leader in producing quality slots of all kinds from classic to their noteworthy 3D slots. While Net Entertainment is more focused on video slots with multiple paylines and generally 5 reels, there are still a few classic demo slots to be had. Jackpot 5000 slot, Lucky 8 Line slot, Mega Joker slot are the best offered in classic games. Fruit Case slot and Fruit Shop slot are video slots but offer pub fruits for those interested in adding extra reels and other special features like wilds and free spins to their plays. These slots offer more in the way of visual effects and sound for a fuller online gaming experience. Microgaming is said to be the leader in creating online slot machines. Their games are numerous and many are film and comics branded. The latest in technology is implemented in their catalogue of games but there are still many classic slot demos to play. Play for free in fun mode these noteworthy classic slots by Microgaming: Fruit slots and Fruit Smoothies slot. Fruit slots has 3-reels but with special features like nudges and free spins. Fruit Salad slot looks just like a pub fruit slot but where all the fruits are collected together in bowls of fruit. Aside from fruit-themed classic slots, Fantastic 7’s slot involves bells, bars, and the lucky triple 7’s for lovers of the free classic slot. What are demo pub fruit machine apps for mobile devices? Today people are using their mobile devices like never before. 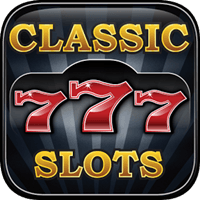 Whether you possess an Apple or Android phone, tablet or mobile device, there is a wide selection of slot classic machine apps for iPad, surfaces, Apple and Android users for download. Experience demo mobile casino games of the classic variety, or experience online classic demos on Xbox 360 by going to the Xbox shop. Whatever mobile device you may be wanting to use, countless pub fruity games and free to play classic slots can be found on various Google Play apps and casino apps from the iTunes store. Some of the most popular classic slot apps are on Google Play. Can I play Google Play classic slot apps in demo mode? Free Classic Slots, Classic Slot Machines, and Classic Slots™ are Google Play slot apps that are the most played. Classic Slots by Phonato Studios Pvt. Ltd. claims to be the number 1 app on Android that is available for free demo mode. The app offers 8 different classic slots plus free coins, bonus coins every 2 hours, and jackpot wins. Classic Slot Machine app by Wincrest Studios presents players with classic demo slots that are just like Vegas slots. Players receive 250 free coins to start and graphics are beautiful in HD. Finally Classic Slots™ - Old Vegas Slots by Link Game has the most special rewards for playing. Receive a Welcome Bonus, 1,000 extra coins every 2 hours, jackpot demo slots like Triple Diamond machine, a daily login bonus, and slots are playable offline.